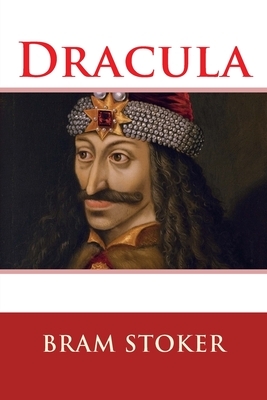 The greatest and most famous vampire novel of all time Dracula has inspired countless adaptations -none with the same power to quicken the pulse as the original. Bram Stoker's novel is both a Gothic reflection of the Victorian era and a timeless tale of sinister lust. First published in 1897, Dracula established the ground rules for virtually all vampire fiction written in its wake. Acting on behalf of his firm of solicitors, Jonathan Harker travels to the Carpathian Mountains to finalize the sale of England's Carfax Abbey to Transylvanian noble Count Dracula. Little does he realize that, in doing so, he endangers all that he loves. For Dracula is one of the Un-Dead--a centuries-old vampire who sleeps by day and stalks by night, feasting on the blood of his helpless victims. Once on English soil, the count sets his sights on Jonathan's circle of associates, among them his beloved wife Mina. To thwart Dracula's evil designs, Jonathan and his friends will have to accept as truth the most preposterous superstitions concerning vampires, and in the company of legendary vampire hunter Abraham Van Helsing, embark on an unholy adventure for which even their worst nightmares have not prepared them. Abraham "Bram" Stoker (8 November 1847 - 20 April 1912) was an Irish novelist and short story writer best known today for his 1897 Gothic novel, Dracula. During his lifetime, he was better known as personal assistant of actor Henry Irving and business manager of the Lyceum Theatre in London, which Irving owned.